The Bride Wore Black, The Groom pushed his former mistress/money laundress aside, and The Groom's new stepson is locked in a psycho ward. It must be another Bates Motel episode. 'Til Death Do You Part has its standard great acting, some good character developments, and the reintroduction of things I simply don't care about. Norma Bates (Vera Farmiga) agrees to marry Sheriff Alex Romero (Nestor Carbonell), fulfilling many a Normero shipping. He marries her to help pay for the Pineview Psychiatric Hospital stay of her younger son/namesake, Norman Bates (Freddie Highmore). Norman is simply not having a good time of it at Pineview. Bitter, resentful, and with a growing idea that 'Mother' is behind some killings, he seems close to the edge. Not even the efforts of fellow patient Julian (Marshall Allman) are enough to warm Norman up. Meanwhile, Dylan Massett (Max Thieriot), is attempting to balance his love for Emma Decody (Olivia Cooke) with a desire to start fresh. That means getting rid of his pot farm, and potentially avoiding a bitter Chick (Ryan Hurst) who is looking for Dylan's father for revenge. Norma, for her part, is highly concerned that Norman is not handling things well...and she has a little separation anxiety. She pushes herself to seeing Norman despite the ban of patient contact, and an angry Norman reprimands her, vaguely suggesting that things will be revealed. Not that Norma really thinks too much on it, as she and Romero consummate their marriage at last. Is it me, or are there things about Bates Motel that I think people really just don't care about? At the top of that list is Chick. I simply DETESTED that storyline and Chick in general. I was never a big fan of all the drug war business to begin with, but generally overlooked that aspect since it gave Dylan something to do (and it did bring in Gunner, who was in my view a better love interest for Emma than Dylan...sorry, Dylemma shippers). I simply cannot abide the idea that Chick will be playing another part in this season. 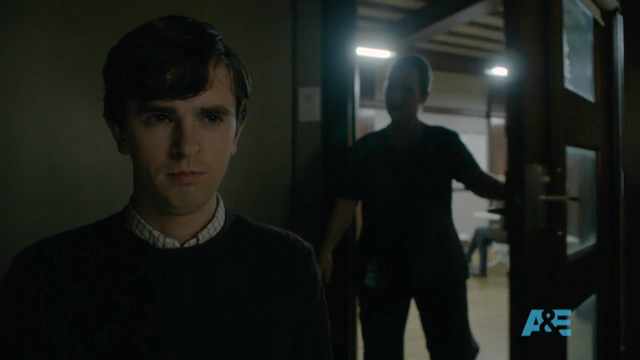 If he were cut out altogether, would we have anything major altered in Bates Motel? I actually wrote in my notes, "Chick is back. Who cares?". I don't, and the sooner we get rid of him the better. That I cannot say about Emma, who is about the only sane citizen of White Pine Bay. I hope that she is not being eased out of the series, for she really was a standout in all the preceding seasons. As for Thieriot, I am hot and cold when it comes to him and Dylan. This is the first episode where he is integrated into the Norman/Norma story. 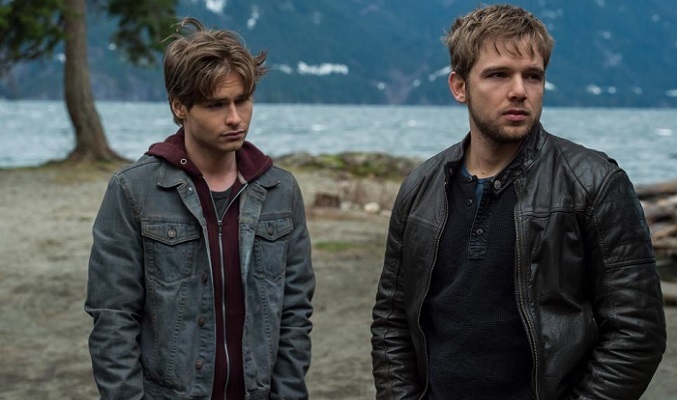 Up to now, he might just as well have been in his own show (Dylemma), and it looks like Bates Motel is struggling to get him back in when he was actually getting into things last season. Perhaps we will get another surprise when it comes to our Young Massett, though nothing would top last year's revelation of his parentage. 'Til Death Do You Part continues the patented Bates Motel parallels: Norma's lavish wedding dinner compared to Norman's very poor servings in the looney bin. We also get the introduction to Julian, and while Allman so far is good I hope we don't get stories where he is more the instigator of things (or that he somehow slips into Heath Ledger Joker mode...don't know why that is a concern). Fortunately, we have the triple act of Farmiga, Highmore, and Carbonell, each doing spectacularly in their roles. Highmore simply goes from one success to another: Norman's anger and injured righteousness mixing in with his own fears of 'Mother' and her murderous ways an excellent performance. Farmiga (who is the only Emmy nomination the show has received...begging the question as to whether the Television Academy actually watches television) does so much with the simplest gestures, communicating the flaws of this very troubled/troubling woman. Carbonell brings a sensitivity mixed with genuine danger as Romero, his interactions with Norma and with his former mistress (Jaime Ray Newman) showing how he can be, like Norma, hot and cold. Perhaps I missed it, but I don't think we got Romero's ex-lover's name (it is Rebecca), so if I missed it I'm sorry but it did leave me a bit puzzled as to who she was. If not for Farmiga, Highmore, and Carbonell I would not have thought much of 'Til Death Do You Part. It isn't among my favorites, but like all things Bates Motel, I have to let things build slowly; the payoff is usually great.